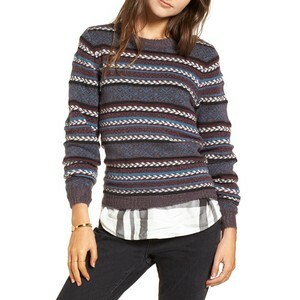 A knitted woollen sweater features a pattern inspired by Nordic folklore. 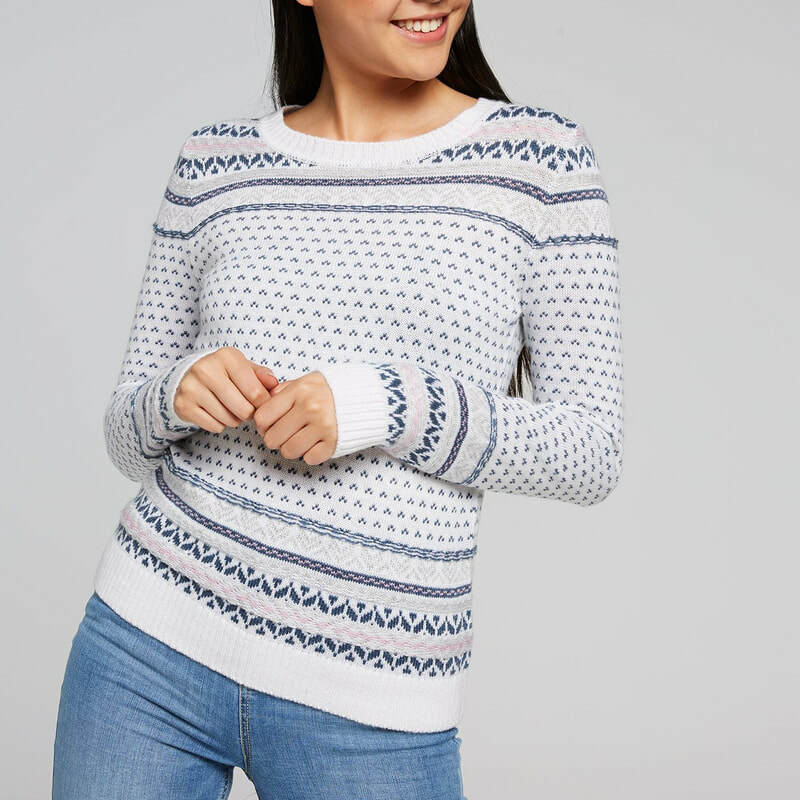 It is designed with a round neckline and ribbed sleeve cuffs and hem. 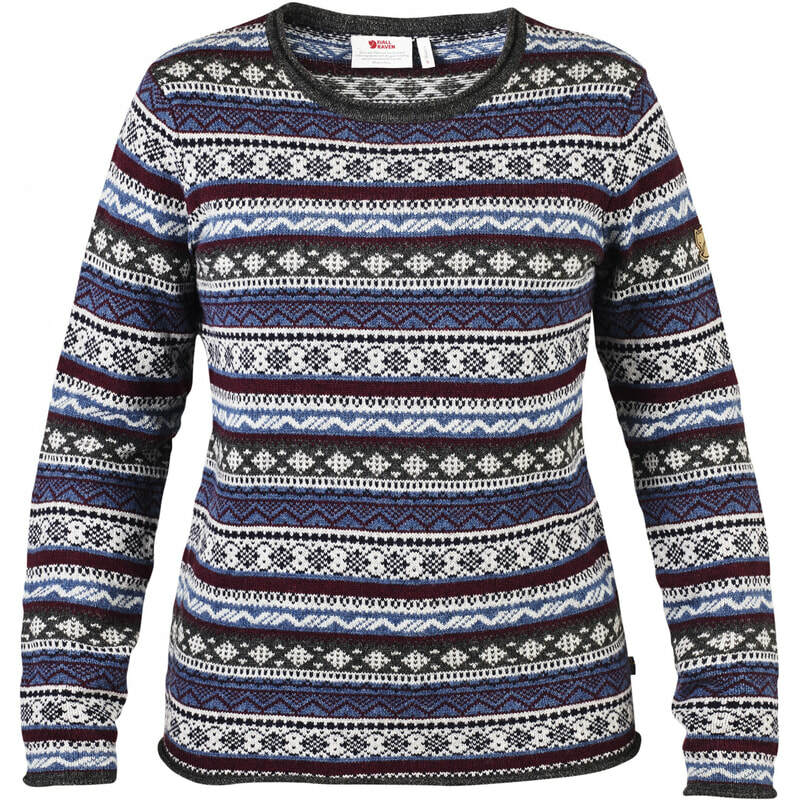 Kate wore it in the 'Uncle Blue' colourway. 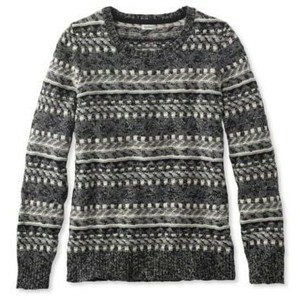 STYLE FILE: Fjallraven Övik Folk Knit Sweater as seen on Kate Middleton, The Duchess of Cambridge.